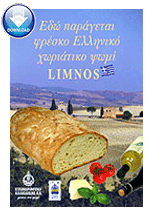 The mills and the administration offices are located at Elaioxoria, Chalkidiki. Halkidiki, also Chalkidiki or Khalkidiki (Greek: Χαλκιδική, /xalki?i?ki/), is one of the prefectures of Greece. It is located in the southeastern portion of Central Macedonia. The Cholomontas mountains lie in the northcentral part. It consists of a large peninsula in the northwestern Aegean Sea, resembling a hand with three "fingers" (though in Greek these peninsulas are often referred to as "legs") ? Pallene (now Kassandra), Sithonia, and Agion Oros (the ancient Acte), which contains Mount Athos and its monasteries. The Athens branch is located at Katara Konstantinou 10, Acharnes.